Halloween is drawing near — so, if you want to start the fun or if you simply want a good ‘scare fest’ with your family and/or friends, going to Universal Studios Singapore’s Halloween Horror Nights is a must! Truth be told, this is one of Asia’s most anticipated Halloween affair and it runs for a few selected nights until October. 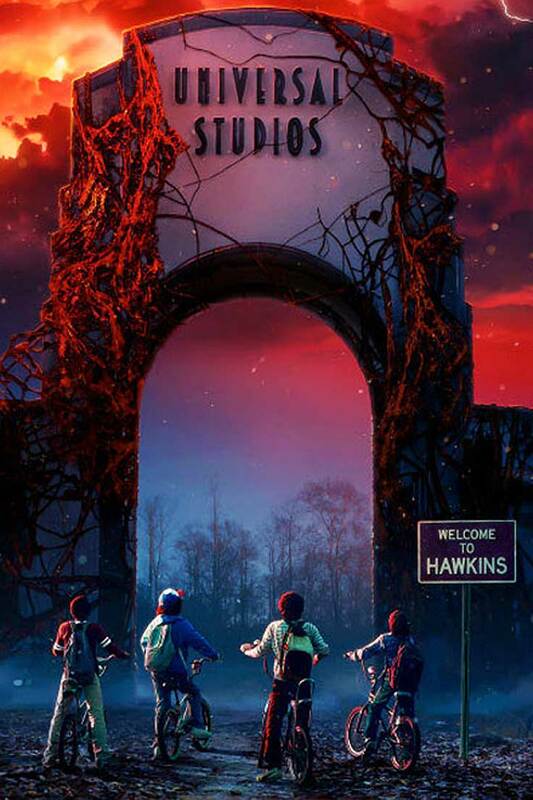 Now that it’s on its 8th year, you can expect amazing things in store — in fact, fans of the popular series, Stranger Things, will love the haunted house that has been set up together with Netflix TV. OPEN DATES: The remaining opening nights left are on the following dates = October 5, 6, 11,12, 13, 14, 18, 19, 20, 21, 25, 26, 27, 28, and 31. So HURRY and purchase your tickets now! This year’s theme is “Infinite Fear” which is aptly fitting with the number “8” (since if you turn it sideways, it’s technically the infinity symbol) and as it is, here are the top 5 reasons why it’s definitely worth your valuable money and time to go to the Halloween Horror Nights! Great news! Book with KKday & you can get discounted tickets to Halloween Horror Nights! #1: Five (5) Blood-curdling haunted houses to choose from! This is said to be the 1st ever tie-up between Universal Studios Singapore and Netflix TV; as such, you can expect a lot of themed rooms to explore — 12 to be exact! These are not limited to the iconic Byers home scene, Upside Down woods, Hawkins National Laboratory, and more. Honestly, I didn’t see all of them because my eyes were closed most of the time (LOL, I’m sorry, I’m weak when it comes to horror stuff) but the moments that I did have my eyes open, the set was incredible! (I especially loved the Byers home area). Pontianak is a female vampiric ghost that’s famous in Malay mythology. You bet that you’ll be stepping into various hair-rising rooms as her story slowly unfolds. A lot of visitors to Halloween Horror Nights 8 have claimed this to be the scariest haunted house of them all! If there’s one thing you can surely expect from the Japanese, it’s the scariest horror stories. With this haunted house, they will tell the tale of their country’s most famous ghost story, and you can surely look forward to the holographic technology that they’ll be using in order to bring Lady Oiwa in all her disfigured state. As you will see in the video above, this haunted house in Halloween Horror Nights 8 is set in a Chinese-esque secret society of vampires. If you get “lucky”, you might be one of the guests who will be pulled into the secret rooms in order to meet Lu Xi Fa, the leader of the vampires. Also Chinese-themed, this house highlights the Yin demon who yearns for eternal life and power, and the area will include realms of spirits, beasts, demons, puppets, and even a maze. Where you get thrown into chaos as Mother Earth unleashes her most terrifying forces in an area that’s designed like New York. As the name suggests, you will witness a man-hunting tribe that is out to devour just about anyone. Held at the Hollywood Lagoon Stage, this is where you can rush through the scream-inducing halls of Eight Lake Psychiatric Hospital, where unknown horrors will surely await you in in the darkness. This is where you can take a break from all the horror and join Gideon Grim (a.k.a. the Motivational Death Coach) who will take you on a witty and seminar-style show as he shares his scaring skills. Witness a gruesome ritual near the Cannibal scare zone as they offer human sacrifices to gain extra strength! #4: There’s the famous Zombie Laser Tag! With its debut from last year, Zombie Laser Tag is back by popular demand for Halloween Horror Nights 8! With an arena that’s double the size and a throng of bloodthirsty zombies that’s double the number, you will have loads of fun and screams as you armor up for this action-packed laser tag battle. For those people like me who are into zombie movies, you bet that it’s an absolute must to trespass this zombie-infested territory and test your survival skills! To be a part of this activity though, you need to pay an extra fee of SGD $38 per person but you be that it will be worth it! #5: Lots of extra stuff to enjoy! Halloween-themed goodies: Aside from glowing horns that you can purchase to get into the ‘spirit’, there are also fun snacks that are designed like blood bags, test tube shots, eyeball cupcakes and more! If you purchae a blood bag, you can enjoy special offers on restaurants like KT’s Grill, Goldilocks, Gloria’s Snack Shack, Lou’s NY Pizza Parlor and StarBot Cafe. Extra voucher: If you buy your tickets from KKday, you’ll get to have an SGD$5 souvenir gift coupon that can be used for clothes and drinking utensils with a minimum spend of S$15. Extra attractions and shops: Even if the Halloween Horror Nights are held at night, there are still some other park attractions that you can enjoy such as the Transformers ride, Revenge of the Mummy, Battlestar Galactica: Cyclon, etc. — as well as some merchandise stores like the Universal Studios Store, Hello Kitty Studio, Minion Mart, and more. Chill-out zones: If you want to take a breather and get away from the park’s horror intensity, you can head out to these areas to enjoy great food and drinks — before you head back to the scares! …So what are you waiting for? Come and scream the month away with Universal Studios Singapore’s famed Halloween Horror Nights! BOOK YOUR DISCOUNTED TICKETS NOW! What do you think of the Halloween Horror Nights? Or have you been to this kind of affair before? How was it? One of the things that intrigued me the most is the Stranger Things haunted house! I have been a fan of the series since its release way back 2016. 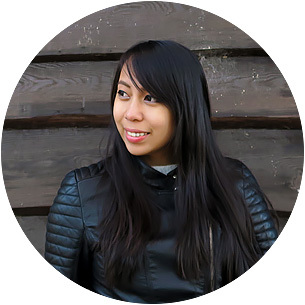 Thank you for this Top 5 list of yours, Aileen! Can't wait to go and experience the frightfully fun things there, especially the Zombie Laser Tag. This sounds like a great park. I like the idea of the open scare zones (and am kind of terrified by them at the same time). It seems like this would be a great add on to a Singapore trip! Hi Aileen, can we also enjoy the rides/attractions in Universal Studio Singapore with this Halloween ticket? Yep, and I loved the Cyclone!! Go and try it ;) Enjoy! Had the opportunity to visit Universal Studios in Japan during horror nights and it was such a great experience!